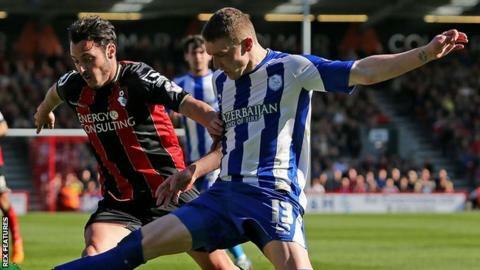 Portsmouth have signed Sheffield Wednesday striker Caolan Lavery on a three-month loan deal. The 22-year-old, who was born in Canada, has featured just twice for the Owls this season, with both appearances coming in the League Cup. The striker has represented Northern Ireland at Under-21 level. "At the age I'm at now, I need to be playing games on a regular basis and scoring goals," Lavery told Portsmouth's club website. "Portsmouth's ambition is fantastic, as is the way they like football to be played and when you look at the size of this club, I couldn't really say no. "I'd like to be part of the success that I'm sure Pompey will have this season and I'm looking forward to getting started."